A healthy environment. Thriving communities. Solutions that work. The threats to our environment are urgent, but they can be solved. EDF’s 440 scientists, economists, lawyers and policy experts partner with others to find practical solutions. We’ve done it before, and we know how to do it again. People often ask us how we remain hopeful in the face of growing environmental threats. It’s a reasonable question. Risks to health are on the rise. Ecosystems are under assault on land and sea. Climate change is hitting home — with crippling heat and drought, savage storms and floods — while we continue to pump carbon into the atmosphere. And yet at EDF, we remain optimistic that we can still prevent the worst effects of climate change, protect human health, restore habitats and return oceans to abundance. We’re hopeful because, with our partners, we’ve developed a set of policy tools that have delivered extraordinary results. If we bring them to scale in time, they will do the job. We’re hopeful, too, since more people are joining with us to build these solutions, and since urgency puts pressure on leaders to take action. Finally, we’re optimistic because we’re making progress. A mandatory, declining cap on carbon that EDF helped design took effect this year in California, and China launched the first of seven pilot carbon reduction programs. President Obama rolled out a plan to reduce power plant emissions. Walmart, working with EDF and others, decided to phase out a number of chemicals of concern in consumer products. We expanded partnerships with farmers to reduce pollution from nitrogen fertilizer. And we saw the commercial red snapper fishery in the Gulf of Mexico — near collapse in 2007 when EDF helped introduce a catch share management program — continue its remarkable recovery. With great need comes great opportunity. Thank you for your steadfast support. It makes our work possible. None of the results described in this report could have happened without the support of our 750,000 members. On behalf of everyone at EDF, we thank you. With the urgent environmental problems we face today, one key to EDF’s success is that we don’t just focus on the environment. We also focus on people. Everyone deserves the opportunity to succeed and thrive, so our policies ensure that what’s good for the Earth is also good for people’s livelihoods. That gets a lot more people on our side. Look at how we help farmers reduce air and water pollution. The pollution comes from excess fertilizer, and fertilizer is one of farmers’ biggest expenses. So when we help them limit their fertilizer use, it benefits their bottom line — and the environment. You can also see it in our climate and energy work. California’s statewide cap on carbon emissions, which EDF co-sponsored, has helped create America’s most vibrant clean energy economy. Beginning in 1967, EDF has been thinking differently about how to reach the environmental goals we all share. EDF was founded by a small group of scientists and an attorney. It was a partnership of science and law to protect the environment. In the 1970s, EDF became the first environmental group to hire Ph.D. economists. We found that if you design policies that make environmental protection pay — and then do the hard work of putting those solutions in place — people will invent all kinds of ways to make it happen. As we enter 2014, the global environment faces grave threats. But at EDF, we remain optimists, because we’ve seen how innovative thinking, based on sound science and economics, can protect air, water, wildlife habitat and human health. There’s no reason people can’t be healthy and prosperous. With the right solutions, people and the environment thrive together. EDF challenges leading businesses to help the environment. To maintain our objectivity and independence, we accept no funding from our corporate partners. EDF has long been an influential voice in Washington. When the need to represent environmental issues in Congress began to exceed the $1 million annual cap on our lobbying costs set by tax law, we created the Environmental Defense Action Fund, a sister group that is free of such limits because it accepts only nondeductible donations. Gifts to the Action Fund allow us to target key legislators and mount ad campaigns that identify legislation by name. More than 500,000 of our members have signed up to contact their representatives in Congress before important votes. One example of bipartisan cooperation was passage of the RESTORE Act in 2012, directing large portions of BP’s oil spill fines to Gulf Coast restoration. Business people, scientists and others helped us persuade Congress, and the Action Fund paid for an ad blitz to sway wavering lawmakers. RESTORE passed 373–52 in the House and 74–19 in the Senate. This year, the first funds — $1.25 billion — flowed to the largest ecosystem restoration in U.S. history. To help deliver EDF’s message, we have assembled a network of influential supporters, our Strategic Partners. These allies, including local and national civic and religious leaders, economists and CEOs, contact legislators personally and explain our solutions. Calls and emails from Action Fund members turn up the pressure. Griffith R. Harsh, IV, M.D., M.B.A. The Honorable Ricardo Lagos, Ph.D.
President, Circle Squared Media Inc. Senator Thomas F. Taft, Sr.
B. Henry Estess, Jr., M.D. Environmental Defense Fund completed fiscal 2013 on a sound financial footing, with a record level of program expenditures from continued strong growth in support. Total program and supporting services expenses were $120.5 million, a 14% increase over the previous year. Unrestricted support and revenue of $120.8 million was used to pay for current operations during fiscal 2013. Contributions and membership, including a portion of net assets released from restrictions, provided 54% of this amount, while foundation grants, also including a portion of net assets released from restrictions, provided 38%. Net restricted operating support and revenue of $32.8 million in fiscal 2013 reflects contributions from multiyear gifts and pledges for use in future years. These gifts play an increasingly important role in enabling us to plan our work, most of which involves multiyear efforts. We spent a total of $120.5 million in fiscal 2013. Program services accounted for 84%, or $101.2 million, a new record. Development represented 7% of expenditures, while management and administration was 6%. Membership and new member acquisition totaled 3%. Thanks mainly to gifts designated for future years, total net assets grew $35.5 million to $192.1 million during fiscal 2013. We report our results using Generally Accepted Accounting Principles (GAAP), which require us to record income based on the year funds are raised, not in the year designated for use, among other requirements. The Unrestricted column in the financial statement on the following pages parallels our operating budget. To build the budget, we look first at funds available from multiyear gifts, then at a forecast of new fundraising and prospective spending. As the year unfolds, we monitor fundraising and adjust spending to maintain a balanced budget. We are thankful for the support of all our members and donors this past year. Your continued generosity provides the resources needed to achieve our ambitious program goals and respond to urgent challenges for the environment. This statement of activities represents the consolidated activities of Environmental Defense Fund, Incorporated, Environmental Defense Action Fund and California Fisheries Fund, Inc. Copies of the complete audited financial statements are available upon request or at edf.org/audit. 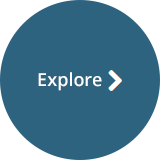 Visit our main site to learn more about what EDF is doing to help the environment. 750,000 EDF members made the results in this annual report possible. Will you stand with them to help make the world a better place? New carbon-cutting programs in China and California. U.S. national action to slash carbon pollution from the power and transportation sectors. And an ambitious new strategy for accelerating clean energy. All this offers hope that global warming pollution can be limited before it is too late. What: Hasten the transition to clean, low-carbon energy in the United States. Why: The U.S. is the world’s largest economy and the second-largest emitter of greenhouse gases. The clean energy economy will drive a new era of prosperity. California power plants and other emitters cut emissions by the required amount or more to meet the state’s declining limits. EPA finalizes carbon pollution limits for power plants and large diesel trucks. Secure changes in the rules that govern the electric grid to lock in a substantial cut in carbon pollution by 2018. What: Hasten the transition to clean, low-carbon energy in China. Why: China is the world’s largest emitter of greenhouse gases. The commitments China makes in its next five-year plan will determine the country’s impact on global warming for decades to come. China’s seven pilot carbon reduction programs achieve their goals. China is on track to increase renewable energy to 15% of total electricity generation and to cap coal consumption by 2015. Training of more than 20,000 environmental enforcement officers in all 33 of China’s provinces is completed. What: Reduce emissions from agriculture and deforestation. Why: Protecting rainforests offers a huge, immediate payoff. Better farming practices can boost food security and resilience while curbing carbon emissions. China is on pace to enlist 20 million families in low-carbon farming by 2016. Brazil sustains progress toward its goal of reducing deforestation rates by 80%. Acre, in Brazil, establishes a program to produce high-quality forest carbon credits. California broadens its carbon market to authorize the use of such credits. What: Cut emissions of climate accelerants. Why: Short-lived but potent greenhouse gases — “climate accelerants” such as methane and some fluorinated gases — have an outsized impact on global warming. Studies quantify methane leakage in the U.S. natural gas supply chain. Major reductions in methane emissions from the supply chain are secured, and are on track to be reduced to 1% or less. California’s carbon market incorporates methane reductions from rice farming. EPA tightens limits on methane from landfills and oil and gas operations. Cleta Felzien does not consider herself part of the new energy revolution. But on her ranch in Colorado, in addition to cows, a well-used tractor and a faded pink and white house, seven brand-new GE wind turbines spin lazily in the High Plains breeze. “That wind is putting my son through college,” says Felzien. Buying Felzien’s wind power is Minneapolis-based Xcel Energy, one of the utilities EDF is helping guide into the new energy economy. Since 2005, Xcel has reduced its carbon emissions by 18%. America’s transition to clean energy is accelerating—more than half of new U.S. power capacity last year came from wind and solar. This trend will continue, thanks to the Climate Action Plan announced by President Obama in 2013, an ambitious effort to establish U.S. leadership in the fight against global warming. The plan’s centerpiece: tough standards to slash carbon dioxide emissions from America’s new and existing power plants. The U.S. has never limited carbon pollution from power plants. That’s finally changing. When implemented, the standards will represent a major victory for EDF and its allies in the struggle to slow global warming. This battle isn’t over, but 2013 will be remembered as the year when the United States got serious about its largest source of carbon pollution — 600 coal-fired power plants, 40% of the problem. Dealing with this massive pollution took a decade of effort by EDF and others. We played a key role in Supreme Court cases that affirmed EPA’s authority to regulate greenhouse gas emissions. When EPA missed a deadline in April 2013 to release its new power plant standards, EDF threatened legal action. “We never gave up,” says EDF’s general counsel Vickie Patton. Once the standards were proposed, the coal industry petitioned the U.S. Supreme Court to strip EPA of its authority over carbon pollution. EDF sprang into action. Joining 17 states, we urged the Court to deny the petitions. And our Action Fund ran TV ads in eight states, mobilizing citizens to shore up support in Congress. The proposed standards remain on track, but a well-funded coal lobby is trying to strong-arm Congress to cut funding for EPA. The best arguments against that lobby are the hard-headed calculations of the energy industry itself. Our partnership with Xcel has helped transform states into test beds for the low-carbon future. When the Obama administration wavered, we made sure these business voices were heard. Denver’s Cherokee power plant was once the area’s largest source of carbon pollution. Today, the coal-fired plant is being replaced with wind energy and natural gas, and the city’s notorious “brown cloud” is largely history. For a decade, EDF worked with Cherokee’s owner, Xcel Energy, to anticipate pollution regulations, retire aging coal plants, and transition to modern clean energy resources. 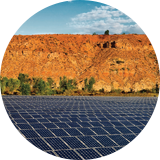 “Our partnership led to breakthrough solutions for the environment,” says Xcel CEO Ben Fowke. Our customers demand clean energy but want it at an affordable price. The Environmental Defense Action Fund gave legislators on both sides of the aisle the information they needed to support strong power plant standards. The administration moved forward to propose standards, and while the coal lobby is still fighting, the Action Fund won’t rest until tough standards are made final. A year ago, California kicked off America’s most ambitious climate solution—a cap-and-trade program covering 350 of the state’s largest greenhouse gas polluters. Previously, power plants and other high-polluting facilities in the state could dump carbon dioxide into the atmosphere for free. Now they must buy allowances, sold periodically at auction, for whatever amount of carbon they emit. The idea is to drive down carbon emissions by making it more profitable not to pollute. After four auctions in the first 12 months, all signs point to a robust carbon-reduction market with long-term viability. Prices indicate companies can cut pollution at a reasonable cost. The auctions also raised almost $400 million to invest in projects that cut climate pollution and stimulate the clean energy economy. It all started with the state’s landmark bipartisan 2006 climate bill, the Global Warming Solutions Act, which EDF co-sponsored and defended in court and at the polls. The law requires the state to reduce climate pollution to 1990 levels by 2020. In addition to launching the world’s largest economy-wide cap-and-trade program, California has set rigorous standards for cleaner cars, renewable energy and low-carbon fuels, sparking innovations in the way utilities generate electricity, automakers design cars and refineries make fuel. For example, the Low Carbon Fuel Standard (LCFS) is driving demand for biodiesel. “Propel relocated to California to benefit from policies like LCFS,” says Matt Horton, CEO of Propel Fuels, a biodiesel company. All this translates into jobs. Clean-tech employment in California has grown four times faster than all jobs in the state. And California has cut carbon emissions by nearly 20% in just five years. The Golden State’s new carbon market has helped set the stage for cap-and-trade programs globally, including the linkage of California’s and Quebec’s carbon markets in early 2014, and a partnership with China’s emerging market. Imagine a world where homes not only run on clean electricity but also generate, store and sell it. A world where power companies get paid to conserve and manage electricity, not just produce it. And where the electric grid balances demand with supply to use more renewable energy. We call this vision Smart Power—it’s the key to decarbonizing energy. Electric utilities are at a crossroads. As they replace old, dirty power plants, they can either build more of the same or turn toward low-carbon energy. EDF’s Smart Power program helps put the right incentives in place so technology can transform the energy sector as dramatically as it transformed communications. In nine states that make up nearly half the U.S. energy market, we’re working to strengthen clean energy requirements, remove obstacles to investment and realign business models. In Texas, we’re part of Pecan Street, a neighborhood “lab” of residential homes that generate, store and sell power. In Illinois, we helped persuade the Commerce Commission to order electric utilities to reduce carbon. And after the devastation of Superstorm Sandy, we worked with the governors of New York and New Jersey to shape new ways to rebuild a more resilient energy infrastructure. We won’t stop until the United States has a modernized energy system. After all, our power grid hasn’t been updated since Thomas Edison invented it. It’s time for Smart Power. EDF Climate Corps trains graduate school students to find energy savings, then embeds them at businesses and public institutions for a summer. Since the program’s inception in 2008, Climate Corps fellows have identified nearly $1.3 billion in energy savings — enough to power 180,000 homes annually over the lives of the projects. Our 400 alumni are rapidly becoming the next generation of green leaders, with 80% of them now working in sustainability at leading companies. Many are hired by their host firms. Often, the energy fixes they find are surprisingly simple. One fellow at a supermarket chain wondered why some freezer doors had heaters while others had energy efficient anti-fog film. He found an anti-fog product that could be retrofitted to existing doors. That could cut CO2 emissions by 26,000 tons a year. While EDF Climate Corps fellows find immediate energy savings, they also focus on goal setting, financing and data management. The goal? To make energy efficiency a corporation-wide activity. As a 2013 EDF Climate Corps fellow, Gordon worked at AIG in New York City, where his recommendations, which included adding sun window films to reduce the air-conditioning load, could save $500,000 in operating costs annually. “For me, sustainability is more than a field, it’s how you approach everything,” says Gordon. To stay competitive in the global economy and keep workers engaged, companies are taking a second look at how they use — and sometimes waste — energy. EDF has teamed up with the labor union IUE-CWA to conduct energy “treasure hunts” at several manufacturing plants. “What’s good for the environment is good for labor — and good for company profits,” says EDF project manager Brendan FitzSimons. In the future, the union plans to expand the treasure hunts and conduct them at many other workplaces. A key goal: making energy efficiency part of the culture at these plants, not something to think about once or twice a year. The number of shale gas wells in the United States has tripled since 2005, yet no one knows how much gas is leaking from wells, pipelines, storage and distribution facilities. Determining leakage rates is critical because natural gas is mostly methane — a greenhouse gas many times more potent than carbon dioxide. If too much gas is escaping, it would erase over the medium term the climate advantage natural gas has over other fossil fuels, which emit more carbon dioxide when combusted. In 2012, EDF — in collaboration with 90 academic researchers and companies — launched a series of 16 research projects to measure methane emissions along the gas supply chain. Researchers, led by the University of Texas, published in 2013 the first data on methane emissions from hydraulically fractured shale gas wells. Our goal is to ensure that industry minimizes methane leakage from the production, transportation and use of natural gas. The state thoroughly overhauled its outdated well construction requirements. The improvements included many ideas contained in a model regulatory framework developed by EDF and Southwestern Energy. The new regulations will increase protections for groundwater and serve as a model for other states. Now we’re helping Texas focus on the issue of wastewater disposal. We partnered with local environmental groups to successfully advocate new measures to reduce air pollution. We also helped Governor Matt Mead (R) draft sound rules for protecting groundwater. San Franciscans Bill and Susan Oberndorf made a generous donation in 2012 to support EDF’s work on natural gas. It was their first-ever donation to an environmental group. “What drew us to the work is that natural gas can be a game changer for the country in many, many ways,” says Bill. To the Oberndorfs, it’s critical that America be able to secure the economic and low-carbon potential of its abundant shale gas reserves. China burns over half the world’s coal. And though coal has fueled prosperity, it is also the primary reason that China tops the list of the world’s worst carbon polluters. In 2013, with EDF’s help, China launched the first of seven carbon trading pilot programs designed to clear the air by improving energy efficiency and accelerating the shift to cleaner energy sources such as wind. The pilots will eventually cover 250 million people in Shenzhen, Beijing, Chongqing, Shanghai, Tianjin, and the provinces of Guangdong and Hubei. EDF began a formal collaboration with Shenzhen last November, providing technical support and training to officials designing the first pilot. The project will limit emissions from 635 companies responsible for about 40% of the city’s carbon pollution. Companies able to reduce their emissions below their limit can sell unused permits to companies unable to meet their targets — creating a financial incentive to reduce emissions while ensuring strong environmental results. EDF also helped broker an agreement between Shenzhen and California, the first U.S. state to develop its own state-of-the-art emissions trading system. This cooperation opens the door to work on a range of low-carbon strategies, from carbon trading to electric vehicles. This work is urgent. The future of China and the planet are firmly linked. The London-based Children’s Investment Fund Foundation (CIFF) is dedicated to improving the lives of impoverished children in developing countries. Since climate change disproportionately affects these children, the foundation is helping reduce carbon emissions. That’s one reason CIFF decided to partner with EDF to develop carbon trading pilots in China. “EDF has a strong reputation in emissions trading, through its work on sulfur dioxide markets in the United States and China. You can’t replicate that starting from scratch,” says Hampton. More than 500 million subsistence farmers can play an important role in reducing climate pollution. EDF’s low-carbon farming and rural development projects have already reached 700,000 people in China, India and Vietnam. The pilots use economic incentives to reward farmers when they adopt climate-friendly agricultural practices such as the precise application of fertilizer. In China and India, EDF is helping provide rural families with biodigesters that convert manure into biogas for cooking. This reduces methane emissions and improves the health of thousands of families by eliminating smoky indoor fires. In South India, EDF scientists are training local technicians to gather field data on greenhouse gas emissions from crops. With our partners, we have set up five labs to analyze gas samples and measure the effectiveness of climate-friendly farming so that poor farmers can be rewarded in the voluntary carbon market. In a deal we brokered, India’s largest airline, IndiGo, allows travelers to partially offset their carbon footprint from flying by buying emissions reductions generated by our farmers. Around the world, more than one billion people rely on rainforests for their livelihoods. But rainforest destruction accounts for about 15% of global greenhouse gas emissions. EDF is working in Brazil and Mexico to make standing tropical forests — and the carbon they contain — more valuable than logging. Our strategy would reward indigenous people for protecting their forest homes, and allow countries that reduce deforestation to sell greenhouse gas reductions in the carbon market. EDF brokered a deal in which California, the Brazilian state of Acre and the Mexican state of Chiapas agreed to develop guidelines for allowing forest preservation credits into California’s new burgeoning carbon market. George Shultz has served two presidents in four cabinet-level positions — only the second man in American history to have done so. EDF does constructive, thoughtful, hard work, and that gains respect — and results. Shultz advises EDF on a range of issues, including global warming and natural gas, where his decades of experience have proved invaluable in bringing diverse groups together. “EDF does constructive, thoughtful, hard work, and that gains respect — and results,” he says. At 92, Shultz is in step with the times: he drives an electric car and charges it with solar panels on his roof. Ever worry about what’s in that air freshener you just sprayed in the kitchen? What about your baby’s shampoo? Thanks to a new policy on chemicals adopted by the world’s largest retailer, consumers are a step closer to having safer, healthier products in their homes. What: Reform U.S. toxic chemicals policy. Why: A stronger law is needed to replace the nation’s obsolete chemicals law, which has not been updated in 37 years. We build and help lead a coalition of health, environmental, labor, business, consumer and environmental justice groups to achieve fundamental reform of U.S. chemicals policies. New legislation is enacted that significantly improves the Toxic Substances Control Act and ensures that only fully tested and safe chemicals are allowed to enter and remain on the market. What: Accelerate safer product innovation through corporate partnerships. Why: Major consumer-product retailers can leverage the supply chain to speed the introduction of safer product ingredients. Reduction targets are set for key chemicals of concern in major Walmart product categories, and guidance is provided to suppliers on principles for chemical substitutions. The chemical screening tool EDF developed for the Walmart supply chain is adopted for use in other product categories. What: Cut air pollution from electric power generating plants. Why: Today tens of millions of Americans live in areas where unhealthful particulate pollution from power plants exceeds the federal limits. Our objective by 2015: Sulfur dioxide and oxides of nitrogen pollution from power plants is cut by 75% from 2005 levels, and mercury pollution is reduced substantially. What: Reduce pollution from transportation. Why: Children who live near high-traffic roads face a higher risk of asthma, cancer and heart disease. Meanwhile, pollution from ships and trucks disproportionately affects those who live near U.S. ports. National limits are secured on dangerous smog- and soot-forming pollutants from new cars. Substantial reductions of diesel emissions from marine sources and port-related transportation are achieved at all continental U.S. ports. Because of its extraordinary size and purchasing power, Walmart has a unique capacity to influence its suppliers. Its decisions have industry-wide implications. For 127 million Americans, a trip to Walmart is a weekly household ritual. In 2013, the retailer unveiled a new policy, which EDF helped develop, to begin phasing out some potentially harmful ingredients found in everyday products such as shampoo, baby lotion, cosmetics and air fresheners, and replace them with safer ingredients. It was the first major retailer to do so. In 2007, EDF opened an office in Bentonville, Ark., near Walmart’s corporate headquarters, to help the retailer lessen its environmental footprint. “The very first conversation we had was about chemicals,” says Michelle Harvey, our senior manager there. Two years later, Walmart began using a software screening program, developed with help from EDF, to assess the chemical ingredients of personal care products, household cleaners and other formulated products. The software, called GreenWERCS, revealed disturbing news: Almost 40% of formulated products on Walmart shelves contain chemicals that may pose health risks. Walmart’s new policy initially targets about ten chemicals commonly found in consumer products for replacement with safer ingredients. By 2015, it will require suppliers to disclose all product ingredients online. The company also plans to take its private label products through a more stringent screening process. “We’ve learned through experience that you can create environmental progress by leveraging corporate purchasing power,” says Elizabeth Sturcken, EDF managing director for corporate partnerships. “And who has more purchasing power than Walmart?” Walmart’s action is sure to have a ripple effect across the entire supply chain. What kinds of products does Walmart’s safer chemicals policy cover? * Simulated products are solely to illustrate product categories. Some products may already disclose their ingredients. To safeguard our integrity and objectivity, EDF accepts no funding from Walmart or any other corporate partner. Voluntary efforts to rein in chemicals of concern are important, but they cannot take the place of strong regulatory standards. EDF is making progress there, too. The nation’s principal chemicals law, the 1976 Toxic Substances Control Act (TSCA), hasn’t been updated in 37 years. It imposes such a high burden on proving harm that EPA could not even ban asbestos. Companies have only had to test about 3% of 85,000 chemicals in commercial use. EDF has been pressing for reform since 1997, when we published Toxic Ignorance, a seminal report that exposed the lack of health data for common chemicals found in everything from baby bottles to household cleaners. To build support for strong new legislation, we helped found a coalition of 250 health and environmental groups called Safer Chemicals, Healthy Families. We’ve since been working with state governments and health, labor, business and consumer groups to make the case for reform. Our prodding already has brought results. It pushed EPA to upgrade its chemical reporting practices. And in 2013, we helped strengthen and advance a reform bill, introduced by the late Senator Frank Lautenberg (D-NJ) and Senator David Vitter (R-LA), that has strong bipartisan support. In 2013, EDF and our allies achieved a major victory when EPA proposed standards to cut pollution from new passenger vehicles, in part by reducing sulfur in gasoline. The standards, called Tier 3, will make the next generation of cars cleaner, cutting nitrogen oxides and volatile organic compounds by 80%. Cars also will emit less particulate pollution, a known trigger for asthma attacks, and less carbon monoxide. That’s good news for the 50 million Americans who live near high-traffic roadways. Children who live in such areas face a higher risk of asthma, cancer and heart disease. EDF pushed hard to win the new measures. We testified at public hearings, and our members sent nearly 50,000 comments to EPA. Fully implemented, the rules will prevent 2,400 premature deaths every year and provide up to $23 billion in annual health benefits, EPA estimates. The cost: less than a penny per gallon of gas. The proposed limits are backed by automakers because they harmonize policy across all 50 states — and help pollution control equipment work more efficiently. There will be challenges to securing strong final standards, but with health-care providers and automakers allied with us, we’re confident we will prevail. Dr. Jalonne White-Newsome was raised in Detroit. Her family ran daycare centers in the inner city, where she saw firsthand the health impacts of pollution on children, including severe asthma and lead poisoning. I think of environmental justice from a human rights perspective. We all have the right to live in an environment that’s safe and healthy, especially kids. Now a policy analyst for WE ACT, an environmental justice group based in Harlem, White-Newhouse is a key EDF ally for clean air. Testifying in support of EPA’s vehicle emissions standards in Washington, she spoke of a little girl with pigtails — the same age as her daughter — getting a nebulizer treatment for asthma at school. Such images reinforce her commitment. EPA’s Mercury and Air Toxics Standards, one of the greatest public health advances in a generation, will eliminate 90% of mercury emissions from power plants and prevent up to 11,000 premature deaths annually. EDF and allies worked for a decade to secure this victory for Americans in 2011. Now the coal lobby is trying to kill these mercury rules before they are fully implemented, but EDF’s legal team is committed to defending the standards. EDF helped found Moms Clean Air Force, a band of mothers — now more than 150,000 strong — committed to taking direct action to protect the health and well-being of their families. We need a committed army of moms determined to make our children’s health a national priority. A key member of our team is Molly Rauch, a mom blogger who lives and works in Washington, DC. Her writing on environmental health has appeared in The Huffington Post, The Green Guide and elsewhere. She joined our effort after realizing the extent of health risks her own children face. “We’re in a cycle that, if left unchecked, could condemn our children to an unhealthy, unstable future,” she says. New Yorkers are breathing the cleanest air in 50 years, thanks to a partnership between EDF and NYC to phase out dirty heating oil. We launched the environmental health partnership in 2008, after our report, The Bottom of the Barrel, revealed that 1% of New York City’s buildings were producing as much soot as all the city’s cars and trucks combined. Those buildings, some of them in the city’s most exclusive neighborhoods, burned the dirtiest kinds of heating oil. At the Port of Houston, more than one-third of the air pollution comes from 3,000 “drayage” trucks — diesel-fueled heavy trucks that move shipping containers. Many are older models that can be 60 times more polluting than new trucks. Now, thanks to a program EDF and allies designed, truck owners at the port can obtain grants and low-interest loans to buy cleaner trucks. Shippers including Lowe’s, Target and Home Depot have agreed to use drayage truckers who track emissions and make the switch to cleaner trucks. Our Houston program has become a model for other port cities around the country, including Baltimore, Charleston and Philadelphia. This builds on EDF’s recent victory requiring oceangoing vessels to use cleaner fuels when near the U.S. coast. Last summer, Joan Dukes watched in horror as huge plumes of smoke from a wildfire billowed near her home in Prescott, Arizona. Our fire season in the West is now two months longer. That scares me. An EDF supporter for 35 years, Dukes has long worked as an educator. At Prescott’s Highlands Center for Natural History, where she is a board member, she introduces schoolchildren to local wildlife and plants. “I love hearing the children’s excitement,” she says. “Imagine a little leaf that makes its own sunscreen from tiny light-colored hairs!” Dukes finds that having a toddler granddaughter has strengthened her commitment to the environment. Inspired by the EDF Legacy Match, she revised her estate plans this year to include a bequest to EDF. Through on-the-ground partnerships in 12 states, EDF is helping farmers save money, improve wildlife habitat and reduce pollution without sacrificing yields. What: Conserve wildlife by helping landowners protect habitat. Why: The unprecedented pace of energy development in the West has put the industry on a collision course with wildlife. A habitat exchange for the lesser prairie chicken has been created and approved by state and federal regulators. Three new habitat exchanges launch in target states affected by energy development. Half a million acres of prairie chicken and sage grouse habitat are conserved or restored. What: Restore coastal wetlands of the Mississippi River Delta. Why: Decades of mismanagement of the Mississippi River system and its Delta have caused the loss of half of Louisiana’s threatened coastal wetlands. $5 billion of BP penalty funds are secured for priority restoration projects. Design process has begun for an improved navigation system to meet New Orleans’s port needs while allowing Mississippi sediment and freshwater to flow again to wetlands. What: Help farmers become stewards of clean air and water. Why: Overapplication of nitrogen fertilizer results in polluted runoff and creates air pollution that worsens climate change. Our work with Walmart and other food buyers paves the way for cutting fertilizer use by 2016 among the top 20% of U.S. corn farmers. Progress is under way to cut the number of U.S. waterways with dead zones in half within ten years. This is achieved by making it profitable for farmers to protect water quality. What: Improve the efficiency of agricultural irrigation in the United States. Why: New water management solutions can enhance the sustainability of agriculture, improve rural economies and preserve healthy river flows for wildlife. Our objective by 2015: A new management framework for the Colorado River is in development — one that encourages water sharing and efficient water allocation to meet human and environmental needs. In America’s heartland, corn is king. Ninety-seven million acres of the crop were planted in the United States in 2013 — an area the size of Illinois, Iowa and Ohio combined. Much of the corn finds its way into some 45,000 products on supermarket shelves, from cereal to soda to beef. It’s even fueling America’s automobiles (40% goes to produce ethanol). EDF is working across the food supply chain — from farmers to big box retailers — to reduce environmental impacts and see that stewardship pays dividends for those who grow our food. Growing corn comes at a significant environmental cost. Across the Corn Belt, excess fertilizer runs off fields into critical watersheds, where nitrogen and phosphorous from the fertilizer create algae-filled “dead zones.” Historically, farmers never knew exactly how much fertilizer to use, so they often applied too much, just to be on the safe side. The result: an estimated half of what they applied was not taken up by crops. Runoff plagues Lake Erie, the Chesapeake Bay and the Gulf of Mexico. Excess fertilizer also leads to nitrous oxide emissions, a global warming gas 300 times more potent than carbon dioxide. To cut fertilizer waste, EDF helped build networks of farmers in a dozen states from Minnesota to North Carolina. With universities and farm groups, we’re helping farmers use better data and field imagery to determine how much fertilizer their crops really need. Indiana farmer Rob Ternet is one partner. As he surveys a row of 12-foot-high corn, he says: “In my 29 years of farming, this could be my highest yield ever.” And he’s done it using about 25% less fertilizer. With fertilizer accounting for as much as one-third of farm costs, that’s money in Ternet’s pocket. EDF’s goal is to cut fertilizer use for the top 20% of farmers, who produce half the nation’s corn. 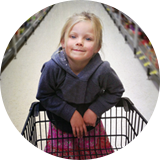 To help us get there, we’ve teamed up with Walmart, the nation’s largest grocery buyer. In September 2013, the retailer announced commitments from 14 key suppliers, including Coca-Cola and Kellogg’s, to reduce fertilizer waste in their supply chains. In addition, Smithfield Foods, the nation’s largest pork producer, is working with EDF on a plan to improve fertilizer management by farmers. Rob Ternet started from scratch, working on other people’s farms for 18 years before purchasing his own in 1997. He built a state-of-the-art grain facility with his own hands, and today he and his wife, Kim, and their sons grow corn, soybeans and wheat on 4,500 acres in northeast Indiana, a few miles from where he and Kim grew up. This land is our livelihood. We want to pass it on in as good shape as when we got it. His success is a testament to hard work and his commitment to the land. For the last four years, Ternet has worked with EDF to use fertilizer more efficiently and implement conservation practices. “We want to do the right thing,” he says. He runs test plots, practices no-till agriculture and grows cover crops such as red clover to reduce soil erosion. Some of America’s rarest animals continue to decline, as existing methods of conservation have not saved habitat fast enough to restore these species’ populations. EDF has a new approach. The lesser prairie chicken, a symbol of the vast western plains, has declined by more than 99% over the past 40 years. It is among the first of 250 plants and animals that could be added to the Endangered Species List over the next five years. Much of the bird’s grassland habitat has already been cleared for crops, and now it is further imperiled by booming energy development, sparking a fierce clash between developers and conservationists. To ease the conflict and save the prairie chicken, EDF introduced habitat exchanges. Simply put, an exchange lets landowners earn credits by restoring wildlife habitat on their land. Once the habitat is verified, the owner can sell the credits to developers to offset the impact of development nearby. We first used this approach at the Fort Hood Army Base in Texas, where neighboring ranchers created habitat for endangered golden-cheeked warblers. Now our coalition of scientists, landowners and energy companies is showing how habitat exchanges could become a national model for saving species in a fast-changing landscape. The world’s largest population of endangered golden-cheeked warblers nests at Fort Hood Army Base in Texas. The birds are doing fine, thanks to a program designed by EDF. 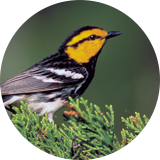 Fort Hood is paying to restore warbler habitat on nearby private land. That allows the base to continue maneuvers. Meanwhile, landowners are getting paid and warblers thrive in greatly expanded habitat. Coastal communities are increasingly vulnerable to sea level rise and pollution. In Louisiana, vanishing wetlands have left New Orleans exposed to storms, endangering the nation’s most significant port. The 2010 BP spill made the problem worse, but created an opportunity to change how the U.S. manages wetlands. 123 million Americans live by a coastline. EDF helped build a coalition of scientists, business leaders, local communities and government officials that persuaded Congress to dedicate billions in BP penalties to restoring the Gulf Coast. In 2013, help began to flow, with $1.25 billion allocated to rebuild the threatened Mississippi River Delta. EDF is making sure the money goes where it’s needed. The road map for rescuing the Gulf is Louisiana’s Coastal Master Plan, which EDF helped shape. It calls for rebuilding 860 square miles of land by reconnecting the sediment-rich Mississippi to its we tlands. As its first step, the state is proceeding with our cornerstone restoration project in Barataria Basin, where the newest land in the United States will soon be created. Strong science is a prerequisite for work on this scale. EDF scientist Dr. Angelina Freeman helped create a model to restore wetlands near Myrtle Grove, which is now being used by the government as a guide. Our scientists have demonstrated how people, wildlife and the economy all benefit from coastal restoration. We’re helping identify business opportunities that will follow coastal restoration, and making sure that hard-hit communities benefit. EDF meets regularly with the navigation, fishing and tourism industries to encourage their involvement and support for restoration efforts. Our message: prosperity depends on conservation. As evidence accumulated that spilled oil is working its way up the food chain, BP opted to go to trial rather than pay civil damages. We organized rallies and press conferences and generated 133,000 petitions to the Department of Justice to hold BP fully responsible. For 40 years, EDF attorney James Tripp has been helping to save the Gulf Coast. He’s recruited barge owners, restaurateurs and other environmentalists to prevent expansion of unneeded navigation channels. He’s saved precious bottomland hardwood forests and helped expose how the U.S. Army Corps of Engineers cooked its books on a billion dollar boondoggle to enlarge underused locks on the Mississippi. Until the early 20th century, the Colorado River flowed freely to its delta, where wetlands and forests flourished on two million acres. But so much water has been drawn from the river that it dried up before reaching the Gulf of California. Now, thanks to an agreement that EDF and our U.S. and Mexican partners helped broker, some of the original ecosystem can thrive, benefiting farmers and wildlife. The pact provides a framework for sharing water and for water conservation. Already, farmers are getting paid for selling water rights to our water trust. This marks the first time Mexico and the United States have agreed to release water to restore the delta’s ecological health. EDF trustee Susan Ford Dorsey has supported EDF’s corporate partnerships work through the Sand Hill Foundation, which she established with her late husband Tom Ford, a real estate developer who helped preserve open space on the San Francisco Peninsula. “The fact that EDF worked with corporations like McDonald’s appealed to us,” she says. EDF makes things happen. It looks for solutions and doesn’t just make ideological arguments. From the Gulf of Maine to the Gulf of California, decades of overfishing and faulty management have devastated fish and coastal communities. Now, trailblazing fishermen are embracing a system of market incentives that is restoring fisheries and the towns that depend on them. What: To restore fisheries to abundance, make catch shares the standard approach. 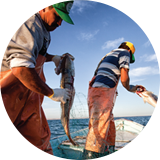 Why: Catch shares empower fishermen to be stewards, boosting profits and fish populations. Catch shares are in place for most fish caught in federal waters (already achieved). Catch share fisheries are on track to recover. Catch shares are tested for the first time in recreational fisheries. What: Build momentum for the recovery of commercial fisheries. Why: European fisheries are in the worst condition in the developed world, with more than 75% overfished. EU policies and funding encourage rights-based approaches for fisheries. New management is tested with local groups in fisheries in Spain, Sweden and the United Kingdom. What: Combine catch shares and marine reserves to protect small-scale fisheries. Why: Billions of people rely on fish for protein, including from near-shore reefs. Fish Forever partnership reaches its first fishing villages in Indonesia and the Philippines. Catch shares are being developed or implemented in at least ten fisheries in Mexico, Belize and Cuba as models for replication throughout Latin America and the developing world. EDF and partners have leveraged the World Bank’s financial resources to drive transformation of fisheries in three or more countries. What: Protect and restore ocean habitats. Why: Marine protected areas complement catch shares by providing a haven for fish populations to rebuild. At least 23,000 square miles of key ocean habitat gain full protection (already achieved). The use of catch share management is shown to increase fishermen’s compliance with marine protected areas. The bounty has been good recently, thanks to a management program EDF helped implement for Gulf red snapper in 2007. A decade ago, this fishery was on the brink of collapse. With fish stocks plummeting, regulators cut the season to a few days per month, often in winter when the Gulf was at its roughest. The shortened seasons hurt fishermen financially and gave rise to dangerous “derbies” in which the fishing boats raced into storms. And the restrictions didn’t solve the overfishing problem. EDF proposed a different approach, called catch shares. Under catch shares, scientists determine the total allowable annual catch for a fishery, and fishermen are assigned a percentage of it, based on their catch history. Now fishermen have a stake in the fishery’s recovery: as populations rebound, so does their catch. We brought fishermen to Washington to build support and helped design a catch share program that was approved overwhelmingly. “We’re catching bigger fish” says Guindon. “Our prices at the dock have increased and our costs have gone down.” The program has also helped end overfishing and restore balance to the ecosystem. The Gulf red snapper population has improved enough to warrant a 70% increase in the allowable catch since 2008. The recovery was so remarkable that in 2013 the Monterey Bay Aquarium took red snapper off the “avoid” list in its seafood guide. For the consumer, this means sustainably caught red snapper all year long. The success in the Gulf has contributed to the creation of catch share programs for the Pacific Coast and New England. All told, 65% of fish landed by commercial fishermen in U.S. federal waters are now under catch shares management, up from 10% when we started catch shares work in 1996. For Buddy Guindon, fishing and family are one and the same. He has spent 35 years in Galveston, Texas, on the water and running a fish market alongside his brother, wife and sons. When the BP oil disaster sunk consumer confidence in Gulf seafood, Guindon teamed up with EDF to create Gulf Wild, a system for tagging each fish with a unique number, so customers can go online to see where it was caught. “You should know where your seafood is from,” he says. EDF was the first environmental organization I’ve met that shows an interest in what’s good for fishermen. The program has taken off. More than 500,000 Gulf Wild fish have been sold in markets and restaurants around the country. The Gulf Wild label is a guarantee of authenticity at a time when as much as a third of the seafood sold in the United States may be mislabeled. 6:50 pm Captain logs the location of a catch, validating that it was caught sustainably. 8:00 am Vessel returns to port. Snapper are tagged with the Gulf Wild label. 9:12 am Captain checks with chefs to report on the catch and agree on deliveries. 9:57 am Truck departs to make its first delivery to distributors. 11:00 am Fish arrives at Gaido’s Restaurant, Galveston, to be prepared by the chef. 12:30 pm Plate of blackened red snapper is served. The Mesoamerican Reef — the largest barrier reef in the Western Hemisphere — hugs the Belize coast and supports 500 species of fish. Many Belizians are dependent on the sea for their survival, but overfishing has taken a toll. EDF teamed up with the Wildlife Conservation Society and local partners, enlisting fishermen and influential policymakers to preserve this extraordinary reef. Under our program, local fishermen have exclusive rights to fish in a designated area, which thrives because of a nearby Marine Protected Area. They are required to record their catch, and many are monitoring illegal fishing, a huge problem. After two years, fishermen themselves are enforcing the rules and illegal fishing is down by more than 60%, allowing them to safely increase their catch. The success has led the government of Belize to ask EDF’s help to roll out the system nationwide. Can 45 million coastal fishermen in the tropics feed local populations while allowing marine ecosystems to flourish? To tackle the challenge of small coastal fisheries, EDF is collaborating on a global campaign in partnership with the University of California at Santa Barbara (UCSB), which brings expertise in economic assessment, and Rare, a nonprofit that specializes in social marketing for biodiversity conservation. The partnership, called Fish Forever, will empower small-scale fishermen in developing countries with practical solutions to reverse overfishing. We’ve begun work in the near-shore fisheries of two leading fishing nations, Indonesia and the Philippines. Sharks have roamed the oceans for 400 million years, but that ancient lineage does not guarantee a future. Today they’re in serious decline, with millions of sharks killed every year. “In the Gulf of Mexico populations of some large sharks, including tigers and hammerheads, have fallen by as much as 90%,” says Dr. Douglas Rader, EDF’s chief Oceans scientist. As top predators, sharks play a crucial role in the health of marine ecosystems, keeping them in balance. There’s no easy answer to the crisis, because many sharks are highly migratory. They’re also a source of food in many nations. EDF is leading an effort with Mote Marine Laboratory to save sharks in the Gulf of Mexico — bringing together Cuba, Mexico and the United States in a tri-national conservation partnership, the first of its kind anywhere in the world. We’re conducting surveys of sharks along Cuba’s northwest coast and Mexico’s Gulf coast. “Until now, the scattered research has never been pulled together to build the big picture of Gulf sharks,” says Pam Baker, EDF’s Gulf director. The collaboration will yield the data necessary to build management programs that significantly reduce the killing of sharks. “If successful, the tri-national program for sharks can be a model for management of other migratory species like tuna and swordfish,” says Baker. For more than a decade, EDF has been working with Cuban scientists on issues ranging from coral reef conservation to sustainable coastal development. With Cuba slowly opening the door to private enterprise, environmental safeguards are critically needed. EDF helped lay the foundation for a network of Marine Protected Areas and is now working to strengthen protections for the legendary Gardens of the Queen National Marine Park, which teems with giant fish uncommon elsewhere in the Caribbean. We’re also partnering with Cuban government officials and fishermen to rebuild important fisheries through the development of community-based fishery cooperatives to achieve our joint economic and conservation goals. Philip Hammarskjold and his wife Alicia both spent childhood summers near the ocean — she on Block Island, he on the Jersey shore. At a young age, Hammarskjold developed a passion for the ocean, spending many hours lifeguarding, boating, fishing and scuba diving. Now CEO of a private equity investment firm, he continues to spend time on the water with family and friends in New England and on family vacations around the world. The couple’s love of the ocean led them to support EDF’s work on catch shares in New England and, more recently, internationally. “The data show that catch share programs really are effective in driving sustainable fishing,” Hammarskjold says.